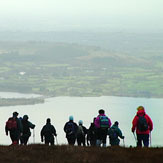 See nature at its best with a half-day hill walk withfamily or friends. 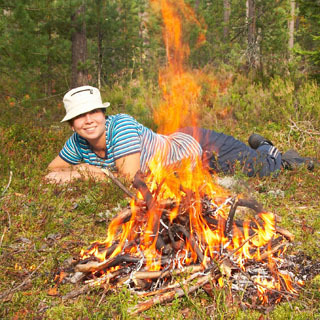 Hike through idyllic natural surroundings, visit to a 5,000 year old passage grave and have ample opportunities to take in the majestic scenery. This voucher is valid for 4 people. This experience is weather dependent. From Kippure Estate, it’s just an hour and a half gentle mountain walking to the top of Seefin Mountain. Walk with one an experienced guide and learn plenty about the area along the way. Enjoy a packed lunch before making your way back to “base camp”. Minimum participant age is 7 years. Small rucksack, suitable outdoor clothing and some walking boots (with good ankle support) required. Kippure Estate is located in Manor Kilbride, Blessington, Co. Wicklow. Pre-booking by phoning Kippure Estate at 01-458 2889 is required. Kippure Estate is 45 minutes from Dublin city centre and less than one hour from Dublin airport! Travel to the M50 Ring Road and take the Southbound Carriage-Way. Exit the motorway at Junction 11 (for Tallaght or N81). Follow the N81 towards Blessington. Approximately 2.9 kilometres after Brittas Village and the Blue Gardenia pub take the left turn marked R759 for Roundwood / Kilbride / Sally Gap. This turnoff is right across the road from Tramway Antiques!! This is the R759. Follow this road until you come to a left turn just before the village of Manor Kilbride. Turn left here! Do not drive into the village! Signposted for R759 / Sally Gap / Roundwood / Braveheart Drive. Kippure Estate is 7 kilometres (4.3 miles) along this road (R759). When you pass St. John’s Church on the right, with its blue sign, you know you are only 5 minutes drive away. Watch out for the yellow Kippure Estate sign beside the walled entrance on the right. Follow the long driveway to a number of buildings. Kippure's reception is located in the last building on the left. 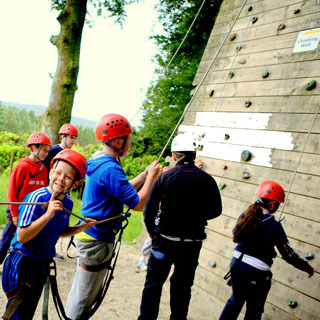 Kippure Estate, offers quality accommodation and outdoor adventure facilities set in a 240 acres private estate of mature woodland and rolling farm pastures. Kippure Estate is surrounded by the wild and beautiful Wicklow Mountains and adjoins the River Liffey. There are a number of meeting- and multi- function rooms, and resident’s bar, private dining with flexible catering arrangements from picnic to barbecue and multi-course dinners. 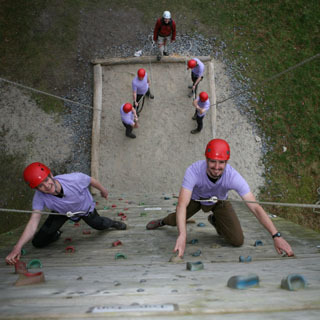 Kippure Estate is also one of Ireland’s foremost providers of outdoor activity events and team building, catering for corporate groups as well as private groups. If you are looking for a venue set in truly stunning countryside, with comfortable surroundings and a team of welcoming, professional staff, then Kippure Estate is an excellent choice for any type of event or family function. 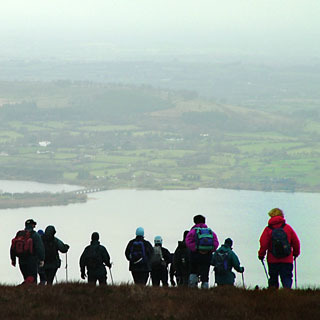 Perfectly situated for rambles, hillwalking and enjoying the many attractions of the area, Kippure Estate is only a 30 minutes drive from Dublin and 20 minutes from the M50. How it Works: Use this gift voucher on AllGifts.ie to make a booking with Kippure Estate.